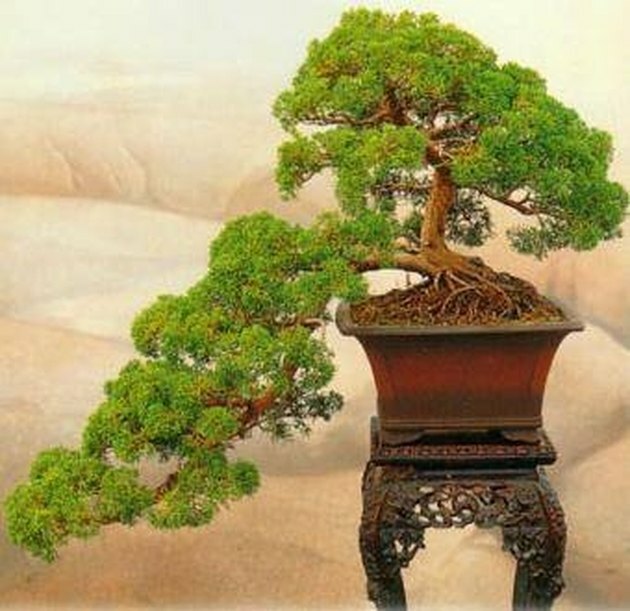 Bonsai is an ancient art with its origins in China, where it was called "penjing." Although the word "bonsai" comes from a Japanese word for "tree in small pot," today the word is applied in Western cultures to any miniaturized tree planted in a pot or container, and maintained as such for the lifetime of the tree. There are many "fake" bonsai trees available at very "reasonable" prices. A common practice is to purchase young trees as seedlings or saplings, pot them in Oriental-looking containers, and sell them as "bonsai." Beware of unscrupulous retailers selling "bonsai seeds," as there is no such thing. 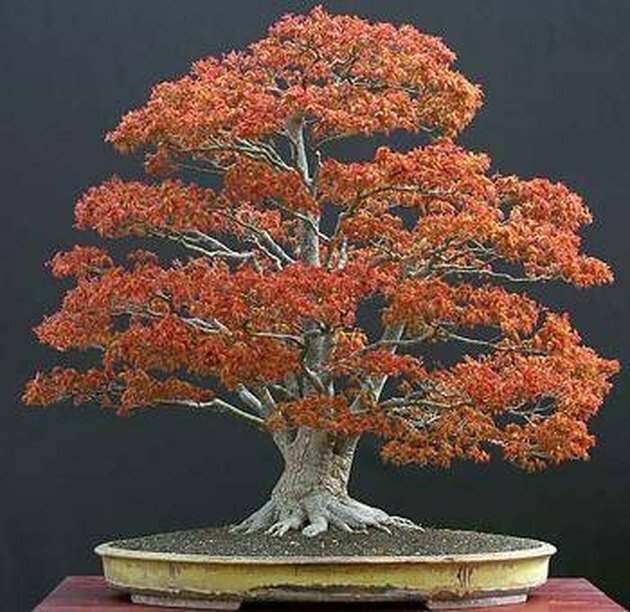 An authentic bonsai tree is a normal tree, seedling or sapling that has been miniaturized, or dwarfed, by having been planted in a container and provided with special care, limb pruning, branch pruning and other techniques, and which will be 10 to 36-inches tall when fully grown. A bonsai is not an herbaceous plant, like a fern or a prayer plant, which has been planted in an attractive Oriental pot. Real bonsai trees are real trees that require a great deal of care in order to thrive as miniatures. 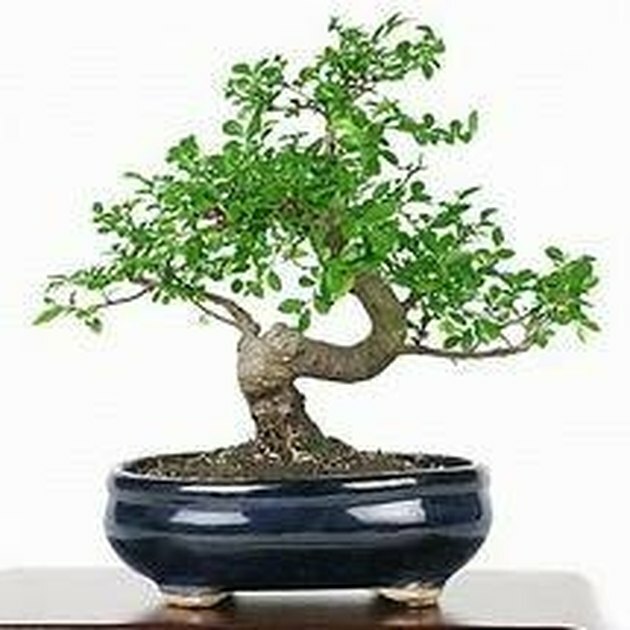 Trees commonly used for genuine bonsai are species which are easily shaped, including but not limited to Chinese Elm, Japanese Maple, Juniper, Ficus (Rainforest Fig), Cedar Elm, and Japanese Black Pine. Here is some identification assistance for several of the most widely-available bonsai trees. Touch the bark of the tree, which should feel rough, indicating proper care. Look for mottled markings which will be red-brown, dark gray or cream colored. Gently handle the leaves, which should feel leathery to the touch. The smooth dark green leaves should be shiny on top and be edged with small teeth. The overall habit of the foliage should have a spreading appearance. Ask the seller to show you signs that the limbs of the tree have been pruned or trimmed. The scars should still be visible, but should be completely healed and growing over. If the tree has never been trimmed, then it probably is not an authentic bonsai. Request the seller to manipulate some of the soil in the pot so that you can verify that the inside surface is not shiny. Glazed pottery is never used for planting genuine bonsai trees. The pot should have "feet." Touch the bark of the tree, which will feel rough if it is a genuine bonsai. If the seller claims that the tree is an older one, thereby asking a large sum of money for it, then the bark should exhibit lovely silver coloring. Examine the branch structure, which should be graceful. The leaves should change colors seasonally, with fall foliage ranging in color from rich gold to deep blood red, and each leaf should have five lobes. Ask the seller to point out to you some healed scars on the limbs, which will indicate that the tree has been trimmed or pruned, and not just purchased and potted recently. Signs of pruning and trimming are proof that the tree has been cared for properly as a bonsai. Request that the seller prove to you that the inside of the tree's pot is not glazed, another key point for identifying bonsai trees. Make sure that the pot has "feet" to facilitate proper drainage. Feel the bark of this evergreen, which should be rough. Smooth bark indicates a very young seedling or sapling that may not be a genuine bonsai. Visually scrutinize the branch structure and form, which should be long and trailing. Carefully feel the "leaves," or needles, which should be stiff but flexible. Walk away from an evergreen tree with dry or brown leaves. 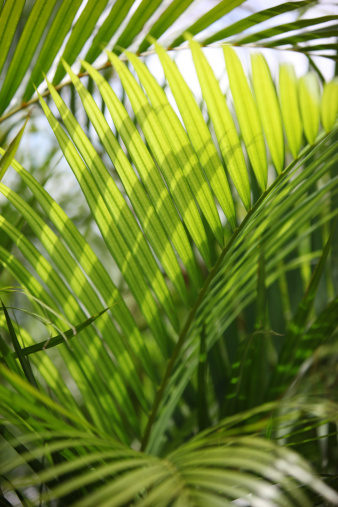 The color of the foliage should range from dark green to blue. sk to see evidence that the limbs of the Juniper have been "wired," which is a very common practice with evergreens. If the tree is three years of age or less, the wire should still be in place on the limbs, as young Juniper trees need to be wired all year round. Ask the seller to show you healed scars from trimming and pruning. Although wiring is used more than pruning, there should still be signs of at least some minimal maintenance trimming. 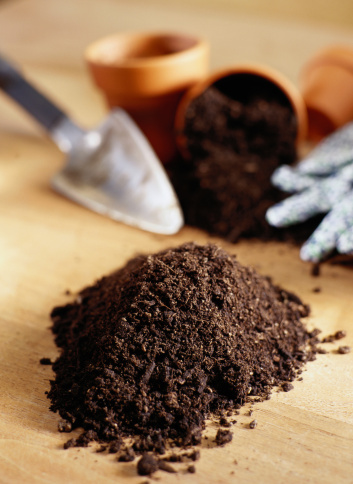 Request that the seller gently move some of the soil in the pot to show you that the inner surface has not been glazed. Authentic bonsai pottery is never glazed, and will always have "feet." Feel the bark of the Ficus Rain Forest Fig. Most Ficus tree species have relatively smooth bark of uniform color. Inspect the trunk and branches to make sure that aerial roots are growing from them. This is a highly desirable characteristic among specimens in the Ficus and Banyan family. Newly sprouted roots may be brittle, so take care when you touch. Aerial roots should already be multiplying and causing a single Ficus tree to look like its own little jungle. Touch the bright green leaves, which should feel slick. They should be shiny on the upper side, and will probably be about 1/2-inch long. Older Ficus trees may have leaves as long as 3 to 4-inches, depending upon species. Ask the seller to show you signs of trimming and pruning. 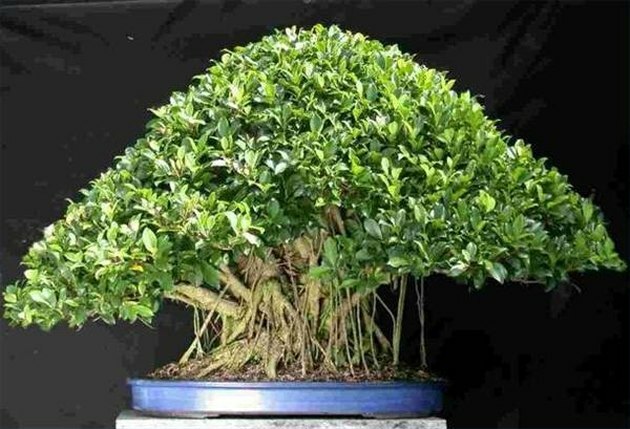 Although the Ficus trees create their own unique miniature rain forests, there should still be evidence of healed scars from pruning, proving the specimen to be an authentic bonsai tree. Request that the seller show you a small section of the inside surface of the tree's pot. Make sure that it has not been glazed, which is never done with authentic bonsai pottery. The pot should have "feet" to help the tree to drain properly.